Dave Cole with Fritz Kamti and August Jacobs, two of the pioneers who started harvesting Devil's Claw in 1997. their story is told in the recently book on Indigenous Plant Products in Namibia. Text Jana-Mari Smith | Main Photograph: Julian Fennessy – Read Dr Fennessy’s story on Giraffe species! A true wildlife detective story. Some people’s passion for their work shines through so strongly it is immediately recognisable. 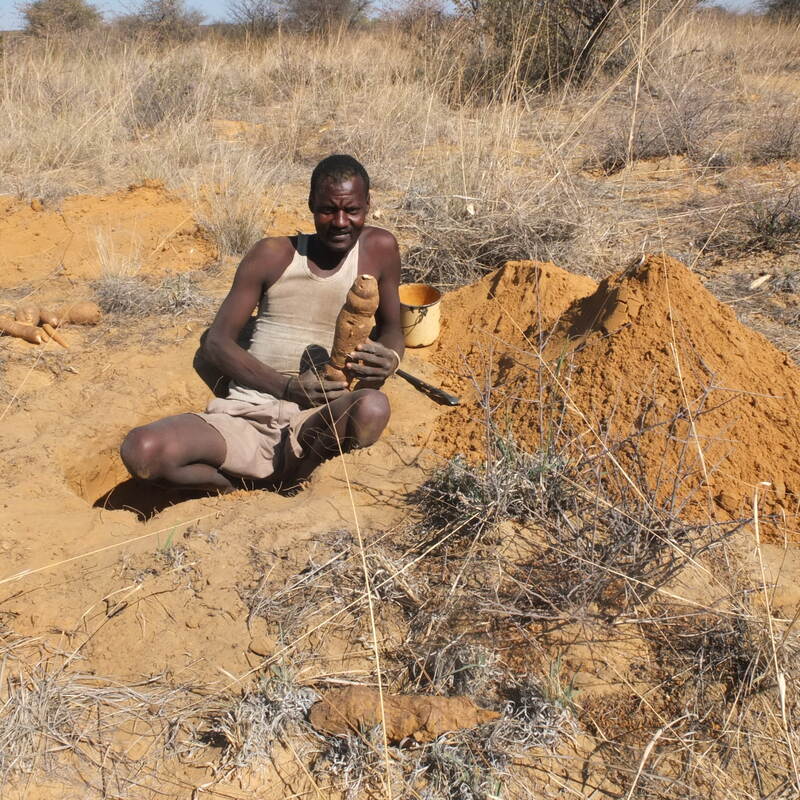 One such person is Dave Cole, who has worked with Namibia’s indigenous plants for more than two decades. Dave’s passion has endured several challenges in the field of Namibian indigenous plants, where he has played a pivotal role in researching and marketing their products to the world. A highlight has been the recently launched book on the commercialisation of these plant products, as part of the MCA Namibia INP Activity where he has been the Manager of the INP Activity for the last five years. Dave, who was the principle initiator of this book, comments that the main purpose of the book, a first of its kind in Namibia, is to open up this little-known sector to policy makers, the general public, learners and students. 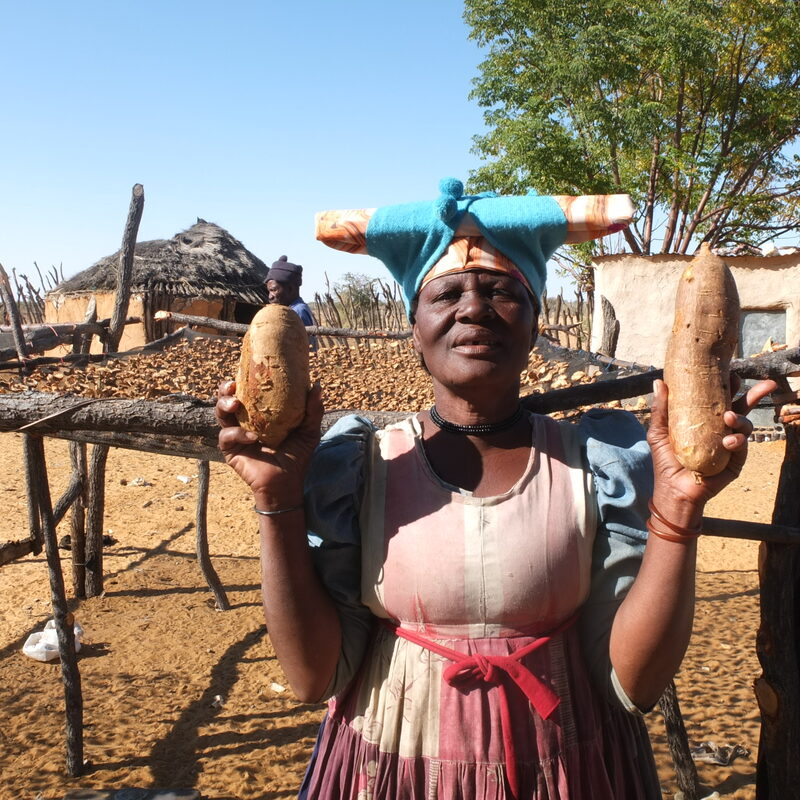 The book tells the story of the importance of INPs to Namibia’s biodiversity, as well as the important contribution that the involvement in the trade can make to the livelihoods of many rural harvesters throughout Namibia. Originally from South Africa, Dave came to Namibia in 1988 and soon put roots down in his adopted country. His work in Namibia began as a lecturer in sociology at the Academy, but because he was torn between academics and the practical aspect of his work, he soon gravitated to a job in natural development, where he would have a more hands-on approach. 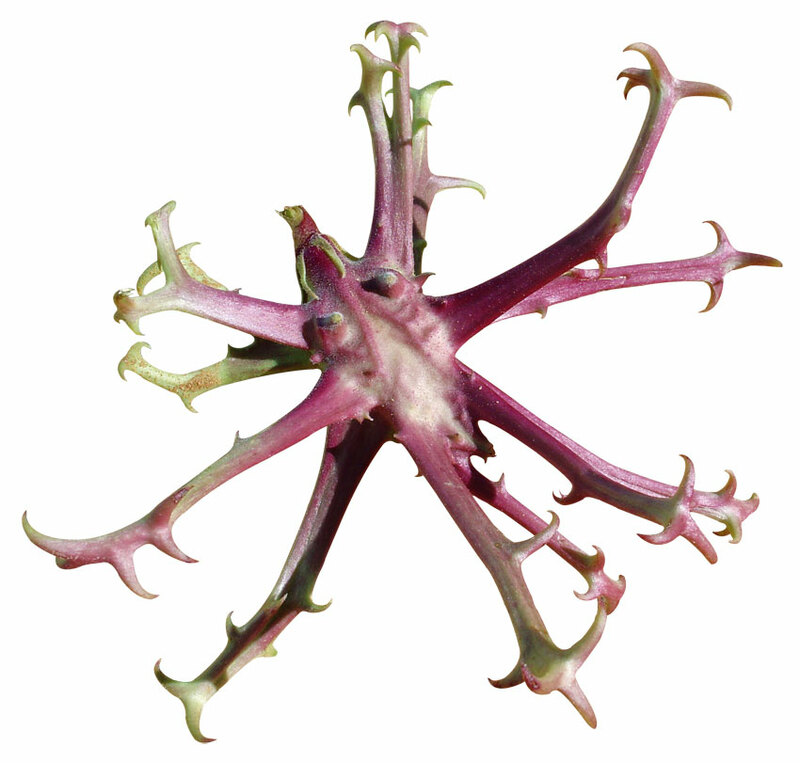 While working in the Kavango Region, Dave joined the Centre for Research Information Action for Development in Africa (CRIAA), an NGO that played an instrumental role in Namibia in researching and promoting indigenous plant products, especially devil’s claw. Dave explains that while devil’s claw had been exported since the sixties, Namibia only really began looking at its commercialisation in 2000, and also at the possibilities of other indigenous plants and their products. The Namibian Government helped to form a structure of organised stakeholders and launched the Indigenous Plant Task Team (IPTT), which still operates today. 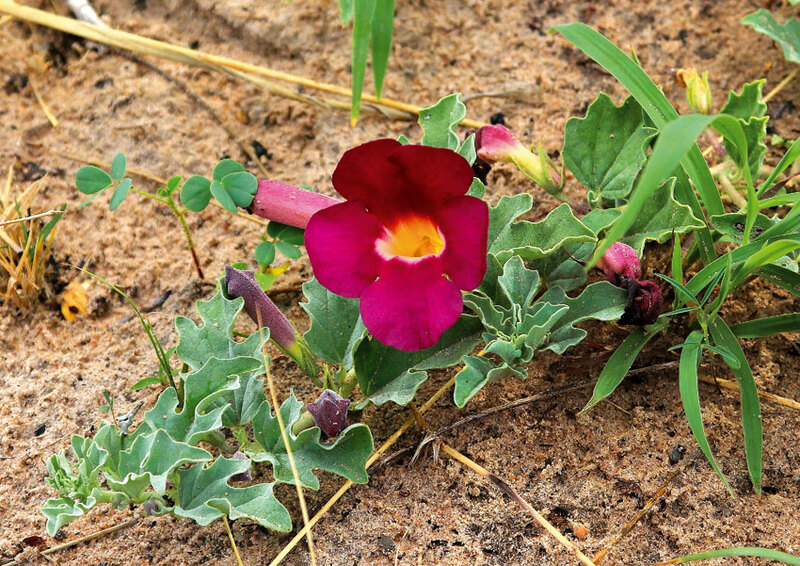 The IPTT is partially funded by the Ministry of Agriculture, and is managed by a multi-stakeholder body that coordinates aspects related to indigenous plant products in Namibia. For more than a decade, Namibia has been exporting a variety of natural plant products, most of which for use in cosmetics and fragrances. Dave explains that a great deal of work has gone into organising producer groups across Namibia, creating supply chains, and putting quality controls in place. Product development and marketing remain high on the agenda. A good example is that today marula oil is being used globally in more than 300 products, and all this oil is sourced from Namibia. Body Shop has developed close ties with local producer groups. This relationship remains an example of good teamwork that benefits all parties. What does all this mean to the people doing the hard work on the ground by harvesting the plant products? “Natural products will never equal a salary for a harvester. 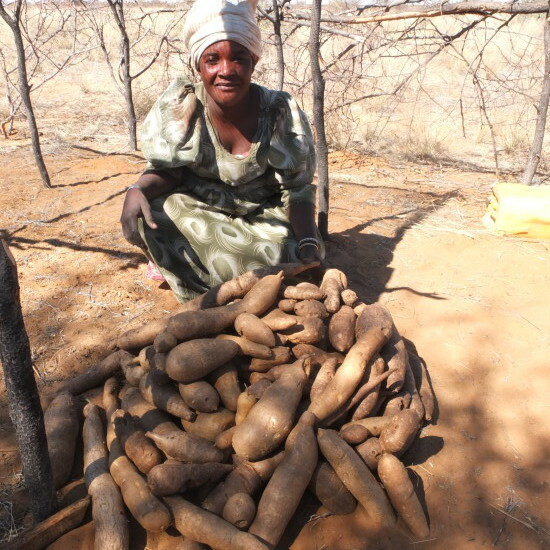 All it can amount to is a supplementary income, albeit a very important one, considering that most harvesters are rural women and the ‘poorest of the poor’,” Dave explains. This is because harvests are linked to natural factors, such as seasonality and availability, which depend largely on rain and other environmental elements outside of the control of people. Nevertheless, the income derived from harvests has to be seen as a very important contribution to incomes. 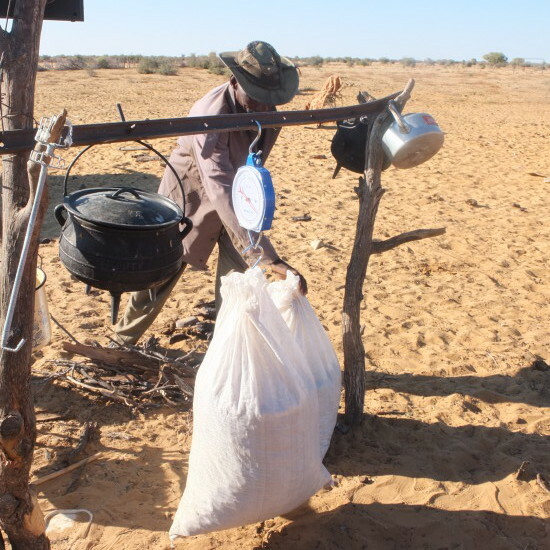 These days, as the manager of the indigenous natural products activity at the Millennium Challenge Account – Namibia (MCA–Namibia), Dave spends a lot of time investigating the issue of consistent supply volumes, to ensure that Namibia is able to meet the demands of buyers. Dave does not, however, dismiss the local market. Last year the MCA and the Natural Resources Institute ran a competition in which local organisers were challenged to present their products, mainly cosmetics created using commiphora essential oils. Nine local organisations took part, showcasing more than 40 products. This article was originally published in Travel News Namibia Spring 2014 edition. 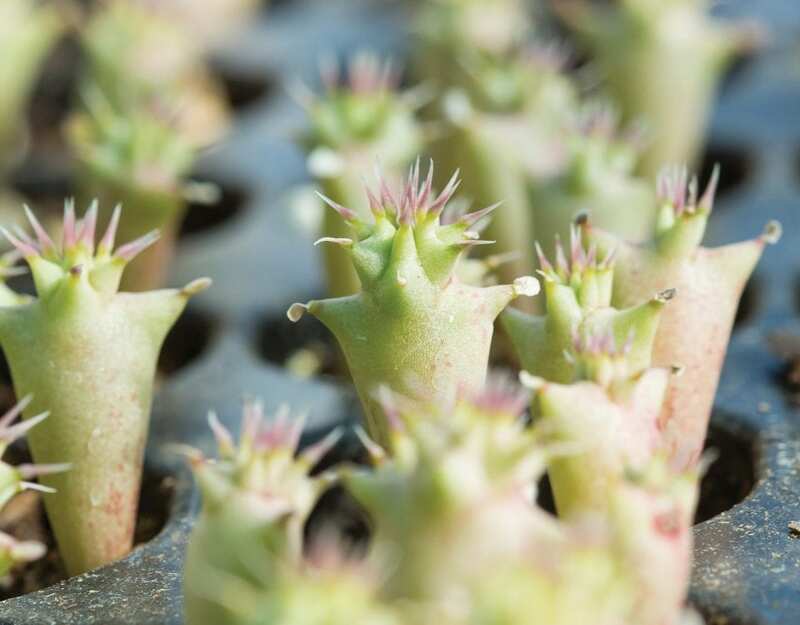 2 month old baby Hoodia plants begin their long lives.